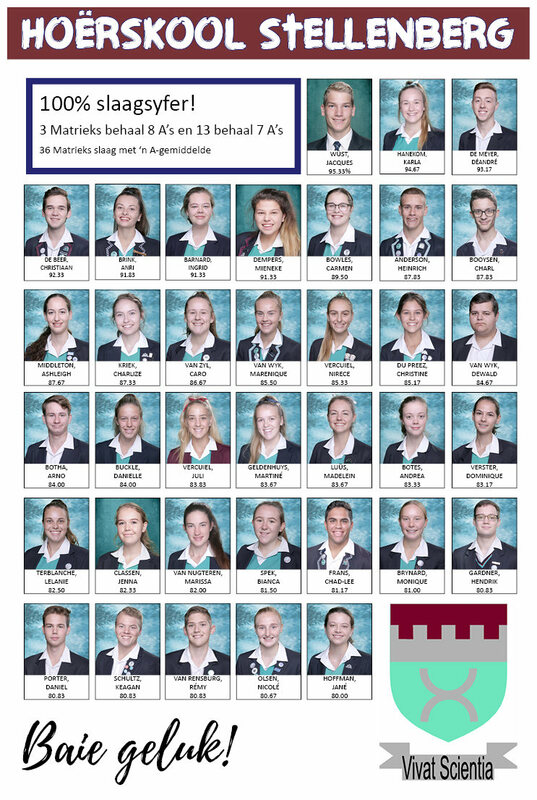 We are honoured to share with you the well deserved performances of our top achievers. Applications for Gr. 8 2020 must also be uploaded on the WCED online system. Ons is ook deel van ‘n toetslopie vir aanlyn aansoeke vir die WKOD. LW: Dit vervang geensins die proses wat deur ons aan u gekommunikeer is nie. Please make sure your application is completed in full and the following documents are included. 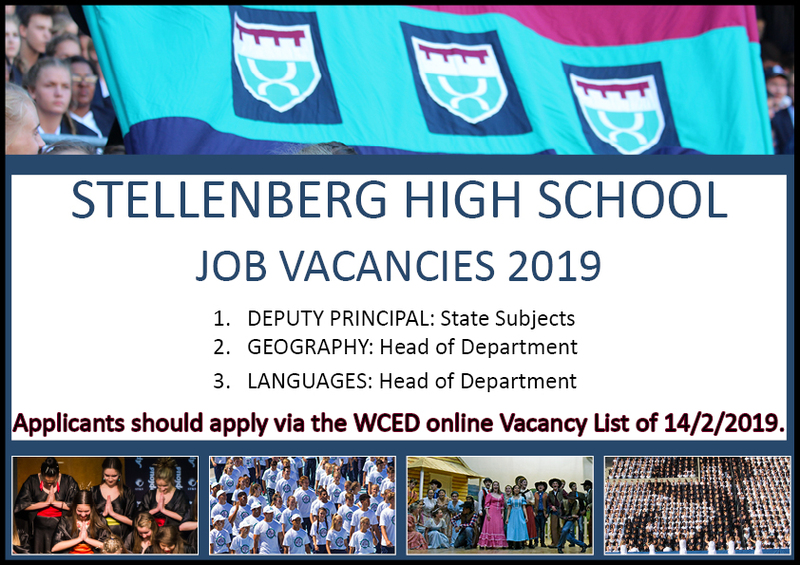 Applicants should apply via the WCED online Vacancy List of 14/2/2019. Application forms are ONLY available at RECEPTION from 14 February 2019. We have two information evenings: 12 and 13 February 2019. Please make 'n booking for this evening on our home page. The enrollment evening will take place on 19 February 2019 and applications may be submitted from this date. The closing date for applications for the 2020 year is 15 March 2019.